Buffalo Trace Distillery was named “Brand Innovator of the Year” by Whisky Magazine in their Icons of Whisky America Awards 2015. Buffalo Trace, located in Frankfort, KY, earned this prestigious award for its Experimental Collection and the building of its Warehouse X, the most advanced whiskey warehouse ever built. The Experimental Collection is a journey this distillery is on in an attempt to find the perfect whiskey. 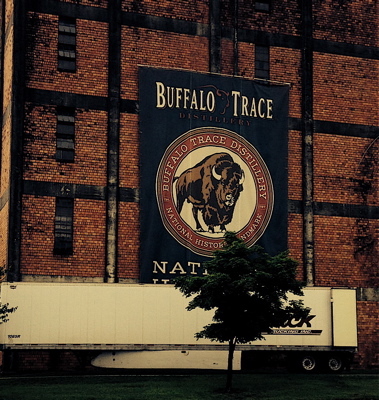 Buffalo Trace began experimenting with recipes and barrel treatments more than two decades ago. Currently there are over 2,000 experimental barrels of whiskey aging in its warehouses. Each of the barrels has unique characteristics and experimental changes in the mash bill, types of wood, barrel toasts and more. Periodically, an experimental whiskey is bottled and sold on a limited basis. Buffalo Trace Master Distiller Harlen Wheatley was also named “Distillery Manger of the Year.” The visitor center at Buffalo Trace was highly commended in the “Visitor Attraction of the Year” category, and Buffalo Trace itself was highly commended in the “Distiller of the Year” category. This entry was posted in Liquor, Travel and tagged Buffalo Trace Distillery, Experimental Collection, Harlen Wheatley, Warehouse X. Bookmark the permalink.